Our law firm handles all types of medical malpractice claims in Maryland. Among these malpractice lawsuits are claims for birth injuries from shoulder dystocia. Shoulder dystocia is an obstetrical complication that occurs in 30,000 deliveries in the U.S. each year. Shoulder dystocia and brachial plexus injury occur in .5% to 1.5% of all births. Shoulder dystocia stems from complications during childbirth where the child's head can clear the pubic symphysis, but the shoulders require additional medical maneuvers to be correctly delivered. In a shoulder dystocia case, typically one shoulder of the baby becomes trapped behind the mother's pelvis during delivery. Are all shoulder dystocia cases legitimate malpractice claims? No. But most doctors that have taken a serious look at this issue agree that a significant number of these lawsuits are meritorious. What happens? The medical literature tells us that birth assistive techniques used in the presence of shoulder dystocia that either pull on the infant's head (forceps, vacuum extraction, manual traction, and fundal pressure are both associated with Erb's Palsy and other brachial plexus injuries. Shoulder dystocia has been called the OBs Achilles' heel because mistakes made throughout the pregnancy come home to roost. For example, a mistake made during prenatal testing or failing to get a proper history of the mother can be revealed when shoulder dystocia presents itself during childbirth. So it is not just a question of technique and decision making during delivery. That said, many mistakes are made during the birthing process. Once the obstetricians realize that a baby's shoulder is stuck on the pelvic bone, the OB/GYN has a limited window of opportunity to perform one or more of the well-known maneuvers to free the shoulder and deliver the baby safely. The "McRoberts maneuver" is an often used technique to resolve shoulder dystocia so that the baby's impacted shoulder may be dislodged without causing injury. In a nutshell, the mother's legs are taken out of the stirrups and raised so that the pubic bone shifts in place. The result of the McRoberts maneuver is that the baby's shoulder slips out more easily. So the McRoberts' maneuver reduces the overall extraction force that is needed for delivery and significantly reduces the contact force behind the symphysis pubis. None of these maneuvers requires touching the infant's head. But, regrettably, doctors - often some very good doctors - panic when they see the head of the baby is delivered but then retracts against the perineum (the first sign of the problem). What happens is the doctor applies excessive traction laterally to the neck - pushing the head toward either shoulder - leading to shoulder dystocia and other complications. The physician's fear is that if the shoulder is not quickly dislodged, the baby cannot breathe, and there is a risk of death by suffocation. It is understandable that a doctor would panic when the baby cannot be successfully delivered. It has to be terrifying. 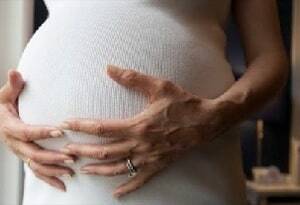 But obstetricians are trained to handle this panic and to employ certain medical techniques that must be employed to manage the labor and reduce the risk of shoulder dystocia. If they do not employ these medical techniques and try to laterally force the baby out, or otherwise take steps outside of the standard of care, the doctors can cause harm to the baby and mother that leads the family to contact a medical malpractice lawyer about a potential malpractice lawsuit. Sometimes the nurse can make a mistake that causes the child injury. In many cases, the nurse will apply fundal pressure to the infant's shoulder against the pubic bone which will further compound the problem. Therefore, if a nurse deviated from the standard of care by applying fundal pressure, there is wisdom in naming the nurse the facility or hospital as defendants in any lawsuit. What Will the Doctors Medical Malpractice Lawyers Argue? Doctor's Argument: Even if the delivering doctor applied excessive force, the doctor did so because there was no alternative. Plaintiff's Response: Because lateral traction is the only known cause of Erb's palsy in head-first vaginal deliveries, it is a breach of the standard of care to attempt it in light of the fact that the procedure cannot free the shoulder anyway. Doctor's Argument: The baby was delivered without incident. The baby's complications must have occurred in utero. In support, these lawyers point to the medical literature supporting this proposition. Plaintiff's Response: The baby's malpractice attorney and their medical expert can counter these articles by pointing out they are not case reports by treating obstetricians. Instead, the articles review medical records of mothers who have had infants who had shoulder dystocia. If the doctor does not admit to how the delivery occurred, the articles become utterly useless. Doctor's Argument: The shoulder dystocia occurred because the fetus was too big. Cephalopelvic disproportion (CPD) is another birth injury that is similar to shoulder dystocia. With cephalopelvic disproportion, the difference between the size of the baby's head or the body and the size of this birth canal makes a vaginal birth just too risky. This can be either because the baby is too big for the birth canal or the birth canal is too small for the baby. Either way, the failure to perform a cesarean section in the face of this problem can be medical malpractice. An obstetrician has a duty to monitor that pelvis and the fetus through the various stages of pregnancy and if cephalopelvic disproportion becomes a concern, the doctor has an obligation to take the necessary steps to mitigate the risk to the mother and child. Shoulder dystocia followed by permanent brachial plexus injury or mental impairment is one of the leading causes of health care mistake lawsuits against health care providers in Maryland. The baby's mother can also suffer injuries such as uterine rupture or rectovaginal fistulas. If you believe that you or your child has been injured as the result of a physician's negligence, call Miller & Zois at 800-553-8082 or click here for a free online consultation. Gurewitsch Allen ED, Allen RH, et. al: Improving shoulder dystocia management and outcomes with a targeted quality assurance program. Am J Perinatol. 2017;34:1088-96. Crofts JF, et al. Prevention of brachial plexus injury-12 years of shoulder dystocia training: An interrupted time-series study. Brit J Obstet Gynaec. 2016;123(1):111-8. Gonik B, et. al: Effect of clinician-applied maneuvers on fetal brachial plexus strain during shoulder dystocia delivery. Am Coll Obstet Gynecol. 2010;189(6): S200. Allen RH, et. al: Comparing mechanical fetal response during descent, crowning, and restitution among deliveries with and without shoulder dystocia. Am J Obstet Gynecol. 2007;196(6):539.e5. Allen RH. On the mechanical aspects of shoulder dystocia and birth injury. Clin Obstet Gynecol. 2007;50:607-23.